Not everyone can comfortably grip a standard gaming mouse. Some gamers have hands that are larger than average, which makes operating a standard mouse difficult and frustrating. You can leave these problems behind with this gaming mouse big hands. Designed with a larger than usual surface area, players can experience superior grip and higher sensitivity levels with this mouse. Tired of small mice that don’t comfortably support your large paws? 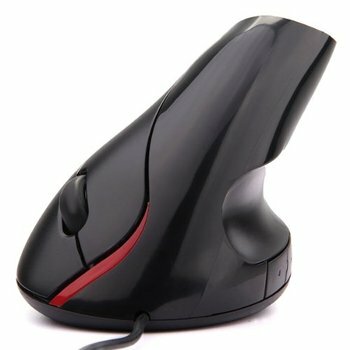 Then get yourself this gaming mouse big hands made with a superior grip. This mouse is the perfect solution for everyone who finds standard mice too small to use. If you are a professional gamer seeking a better grip for competitive e-sports, then this mouse would serve your needs well. Larger than Average—Expect a mouse that is larger than the standard fare mouse. This is designed to offer a good grip for those with big hands and thick fingers. Multiple Programmable Keys—Optimize your gaming mouse movements with 7 available programmable keys. Adjustable DPI Settings—Improve overall gaming performance with DPI setting you can control between 1,000 and 3,200. Rainbow Color Lights—The stunningly designed gaming mouse has LED lights in 7 colors. You can adjust the lights as you like to meet your personal taste. This an amazing mouse, and for the price, I don’t think there is any better deal. I’ve purchased mice that cost over $100 dollars in the past, but I would choose this mouse over them any day. I bought this recent one for my boyfriend since his Razer Naga finally died on him. But I’ve personally been using this mouse for over 3 years now and it’s still working just as well as the day I bought it. I even bought one to replace my mouse at work because it’s so comfortable. Definite bonus that it’s a very cool looking mouse as well. Highly recommend it.